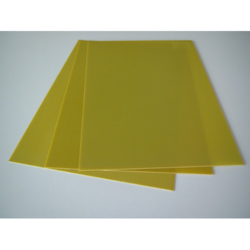 We are offering Epoxy Glass Laminate Sheet to our clients. We are involved in the of epoxy sheet that is available in various sizes and specifications. These are used in the manufacturing of transformers. Easy to fit and install, these are fabricated using superior quality material and are acknowledged for durability, reliability, thermal stability and wear & tear resistance. - Thickness: 0.2 MM to 5 MM. We Supply High Quality Sigdhania, Fibre/FRP Sheets . We hold expertise in offering supreme quality range of Glass Epoxy Sheets. These Glass Epoxy Sheets are manufactured by using supreme quality material which we procure from our trusted and reliable vendors.